The timings for the second Tour de Yorkshire which once again passes through Whitby have been revealed. Millions across the county are expected to line the route to cheer through the riders over the weekend of Friday April 29 to Sunday May 1. Whitby hosts a section of stage 3 on the Sunday which alone will see riders cover just short of 200km. There are three King of the Mountain sections in Whitby alone at Grosmont, Whitby itself and Robin Hood’s Bay. 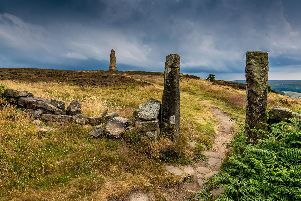 The day’s racing starts in Middlesbrough and passes through Stokesley, Northallerton, Thirsk and Helmsley before heading over the North York Moors to Blakey Ridge. Riders, depending on speed, are set to pass through Castleton from 2.15pm onwards and then to Danby (2.19pm), Glaisdale (2.32pm), Egton (2.39pm), Grosmont (2.43pm) and onto Sleights. They are scheduled to be at Briggswath by around 2.56pm and Ruswarp a few minutes later. From around 3.02pm the Tour will come into Whitby before heading towards Hawsker on the A171. It reaches Fylingthorpe at 3.19pm and Robin Hood’s Bay at 3.23pm. From there it is onto Harwood Dale, Oliver’s Mount and the finish line in Scarborough. Stage 1 of the second Tour de Yorkshire kicks off in Beverley and stage two starts in Otley West Yorkshire.